The International Youth Ice Climbing Camp, organised by FFCAM / Alpine Club of Toulouse, recently took place in Guillestre (Hautes Alpes), France with over 50 participants taking part in the near week long event. 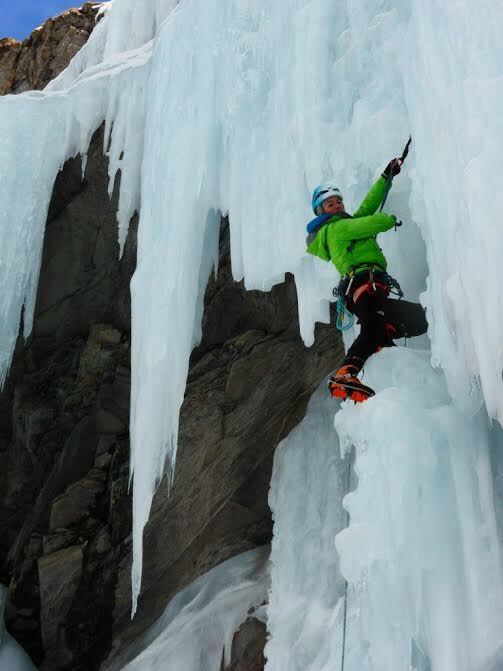 The event took place in a perfect location – the French paradise for ice climbing – which comprises many different sites catering for different levels of skill, allowing participants to be organized and managed in different groups and places according to their ability and age. Each evening a briefing was held where the programme and groups were defined for the next day. 12 UIAA foreign participants took part: Akash, Vivek from India, Elena and Till from Germany, Milan from Serbia, Christophe, Manu and Stephan from Switzerland and Laura, Robbe, Andreas and Jozua from Belgium. The Staff comprised: Christophe Moulin, Romain Wagner Mountain Guides, Isabelle, Marc, Philippe, Eric and myself. The group included 12 female participants. Beginners were principally managed by trainee instructors, myself and Romain Wagner, with support from other staff instructors. We spent considerable time in Aiguilles http://www.aiguilles.com/, a small village in Queyras with an artificial school ice structure, a perfect location to begin this camp. 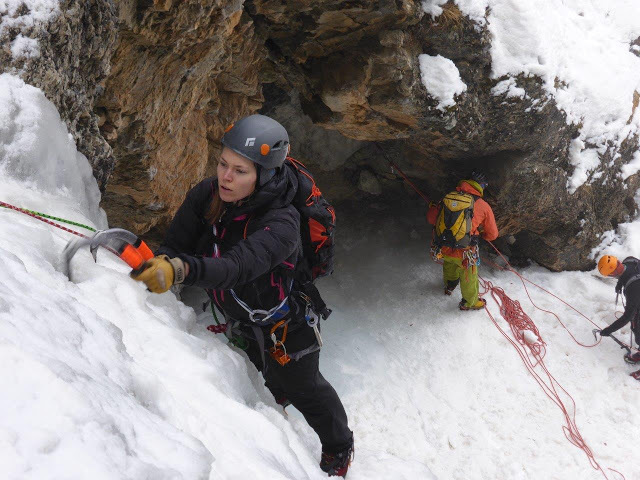 – the way to climb on ice safely, on several pitches, to make a safe belay, and several absails. Almost all UIAA participants (eight in total) reached the level of instructor ice climbing, and the four others will reach it after gaining additional experience.